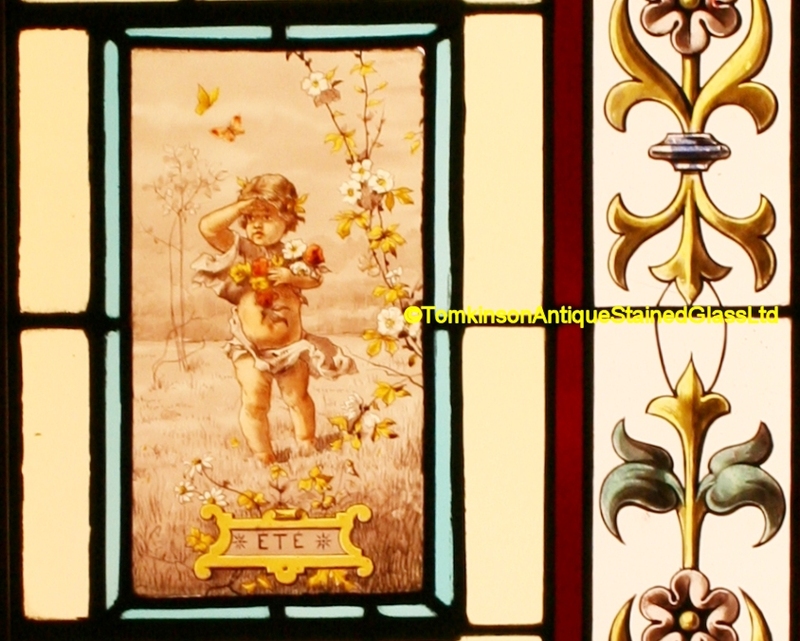 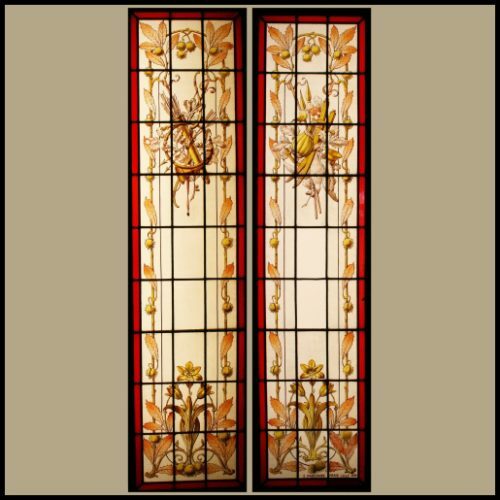 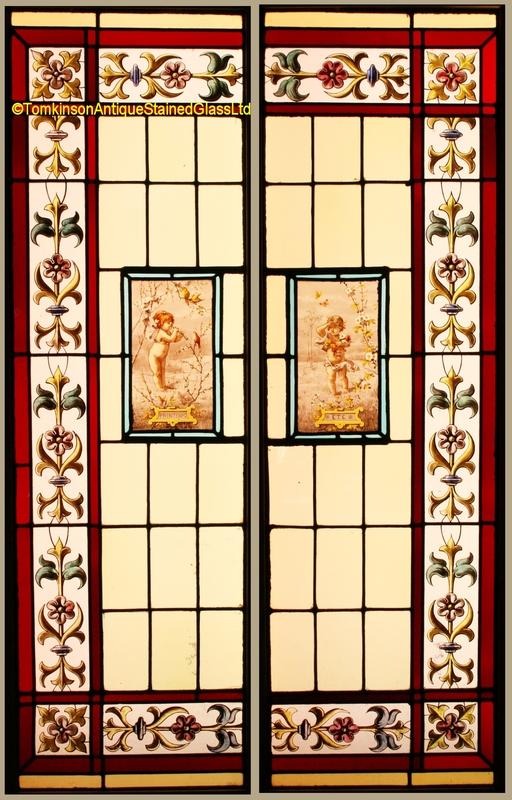 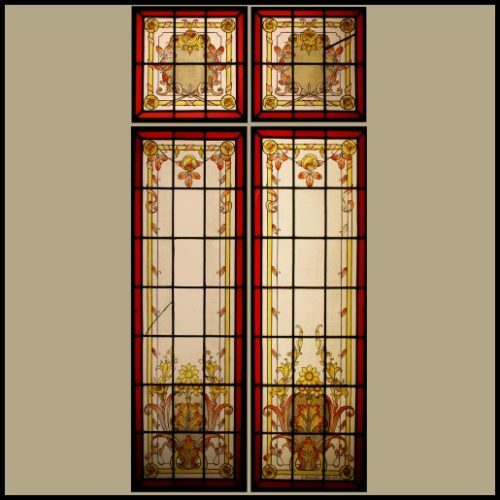 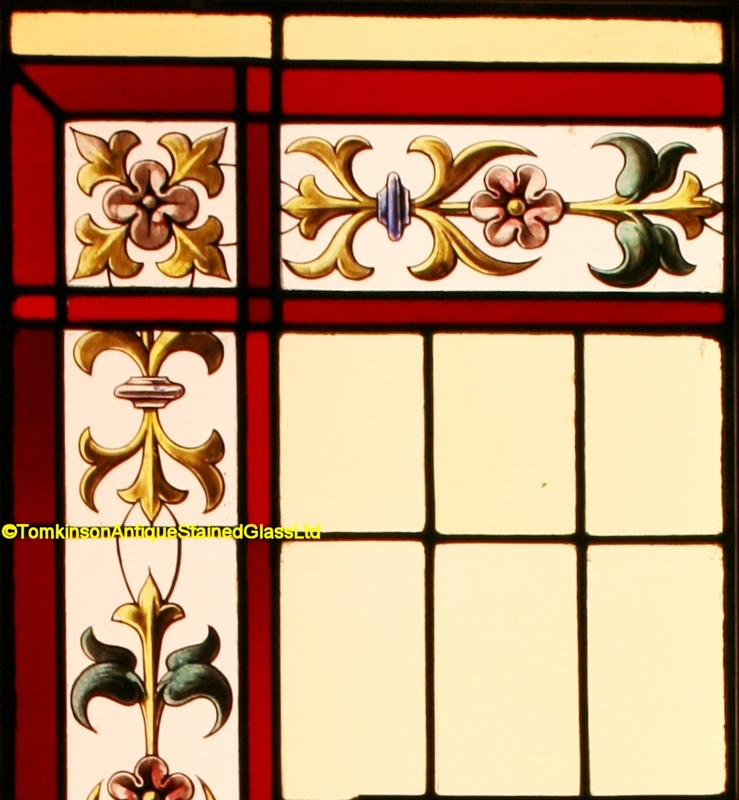 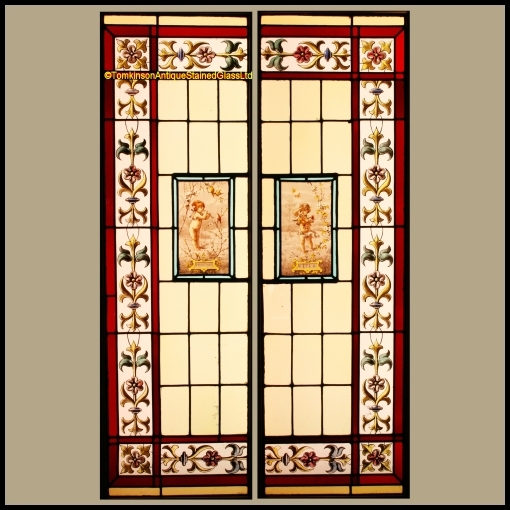 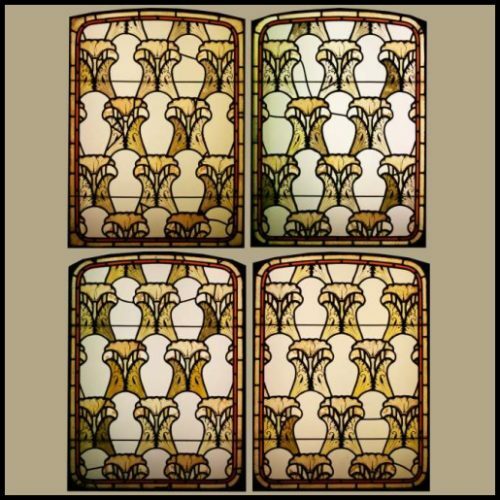 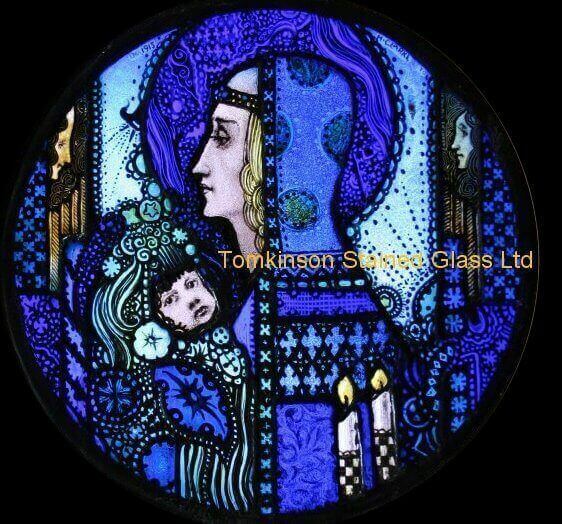 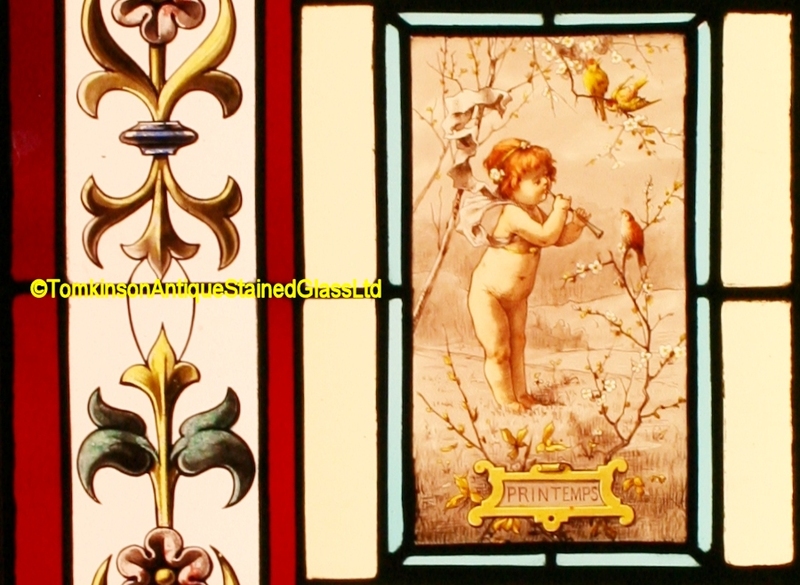 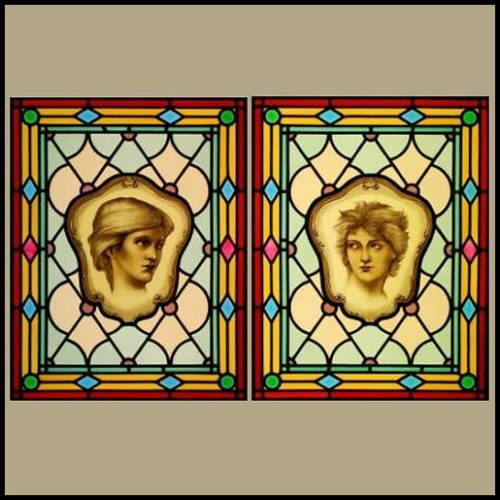 Pair of decorative french stained glass windows, c1910, leaded with a mixture of obscure and clear coloured glass with central panels hand painted depicting Spring – Printemps and Summer – Ete. 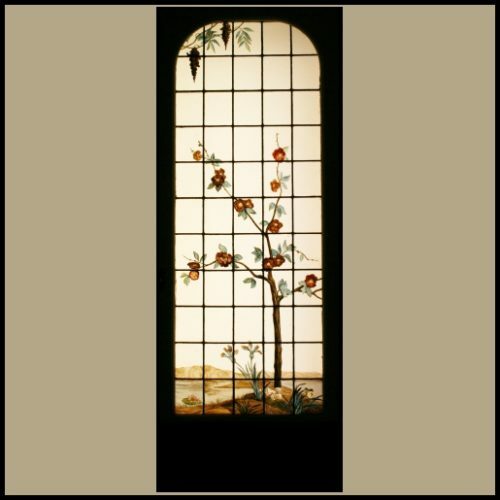 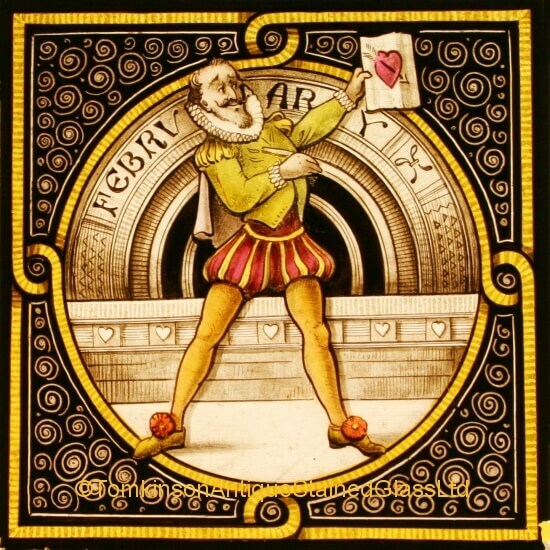 Around is a decorative stylised flower and foliage border painted with enamel paints. Both windows in excellent condition.